It’s the one thing all businesses absolutely must have to generate profits, stay competitive and keep their staff working effectively. That secret ingredient is motivation. It’s not taught much in MBA programmes or Management Training Courses because it’s such an intangible thing to get to grips with and understand. 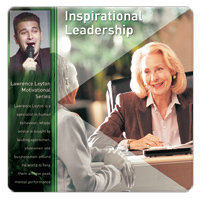 However Lawrence has been studying the intricacies of Motivation and how to apply it in the workplace all his life. What he discovered, and now teaches, are a set of mind-tools guaranteed to ignite and invigorate the fire and passion in your workforce. 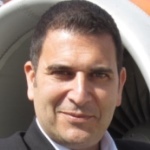 Lawrence has helped over 200 companies around the world (eg: Microsoft, AstraZeneca, Kimberly Clarke, Vodafone, AMP, The Prudential, Provident, Lombard, plus many others) to change the mind-sets of their staff and turn them into peak performers and high achievers. Companies like these understand the value Lawrence’s entertaining, engaging but serious messages bring to their business. Over the years he has made guest appearances on prime-time shows such as Richard and Judy and Russell Brand. He demonstrated his unique skills in three TV specials one of which was Channel 4’s show ‘Fear of Flying’. On this show he helped 40 extreme flying phobics overcome their fear and was successful in getting 38 of them flying without fear. With literally thousands of major stage appearances under his belt, you know you’re in safe hands as Lawrence tailors the speech for the theme of the conference or the message you’re trying to get across. He has made thousands of major stage appearances and tailors his speech for each client. What three characteristics all ‘Peak Performers’ possess. These three can be honed and perfected by anyone once they’re aware of them. Which ones are you neglecting and hold you back from reaching your destiny? The techniques Lawrence shares in his entertaining presentations are the ones he applies to his own successful businesses. These range from Optimum Health Centres, one of the fastest growing family wellness clinics in the UK, to his own multimedia information marketing company. He’s the author of two books and many personal development related products such as CDs, DVDs and seminars. The audio course is based on trusted techniques to develop the capabilities of managers or leaders. With a successful business background and his own uniquely dynamic and entertaining stage presence, Lawrence can super-charge your workforce and help them catapult your organisation into the realms of the top performing companies in your industry. View video material for Lawrence Leyton.